Since the invention of photography almost 175 years ago, the medium has proven itself understandably adept at capturing what is there to be photographed: the solid, the concrete, that which can be seen. Another tradition exists, however; a parallel tradition in which photographers and artists have attempted to depict via photographic means that which is not so easily photographed: dreams, ghosts, god, thought, time. 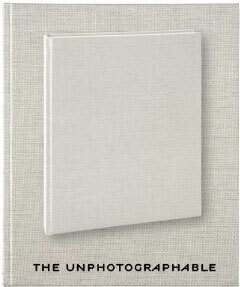 The Unphotographable explores this parallel tradition, and is published to coincide with an exhibition of the same name at Fraenkel Gallery in San Francisco, presenting photographs by anonymous amateurs alongside those of artists such as Diane Arbus, Bruce Conner, Liz Deschenes, Adam Fuss, Man Ray, Christian Marclay, Ralph Eugene Meatyard, Alfred Stieglitz and Hiroshi Sugimoto. Jules-Bernard Luys and Émile David are represented by a photograph taken toward the end of the nineteenth century, of fluidic emission from the fingers of two hands; Richard Misrach captures a sandstorm in California in 1976; and Conner is represented by "Angel Light," one of the Angels series of dramatic, life-sized photograms he created in 1973-75, and which explore the disjunction between vision and phenomenological experience. Since opening in 1979, Fraenkel Gallery has presented close to 300 exhibitions exploring photography and its interrelations with the other arts, and The Unphotographable is one of its most ambitious projects to date. 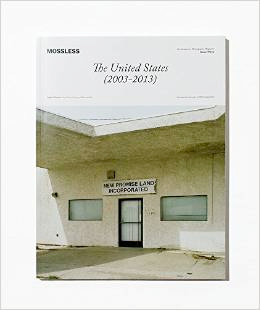 The catalogue is edited with an essay by Jeffrey Fraenkel, and includes 50 images in color. From the water's surface, it's a simple exercise: a dog's leap, a splash, and then a wet head surfacing with a ball, triumphant. But beneath the water is a chaotic ballet of bared teeth and bubbles, paddling paws, fur and ears billowing in the currents. From leaping lab to diving dachshund, the water is where a dog's distinct personality shines through; some lounge in the current, paddling slowly, but others arch their bodies to cut through the water with the focus and determination of a shark. In more than eighty portraits by award-winning pet photographer and animal rights activist Seth Casteel capture new sides of our old friends with vibrant underwater photography that makes it impossible to look away. Each image bubbles with exuberance and life, a striking reminder that even in the most loveable and domesticated dog, there are more primal forces at work. 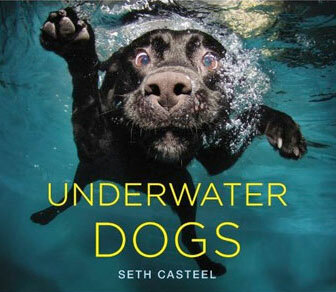 In Underwater Dogs, Seth Casteel gives playful and energetic testament to the rough-and-tumble joy that our dogs bring into our lives.